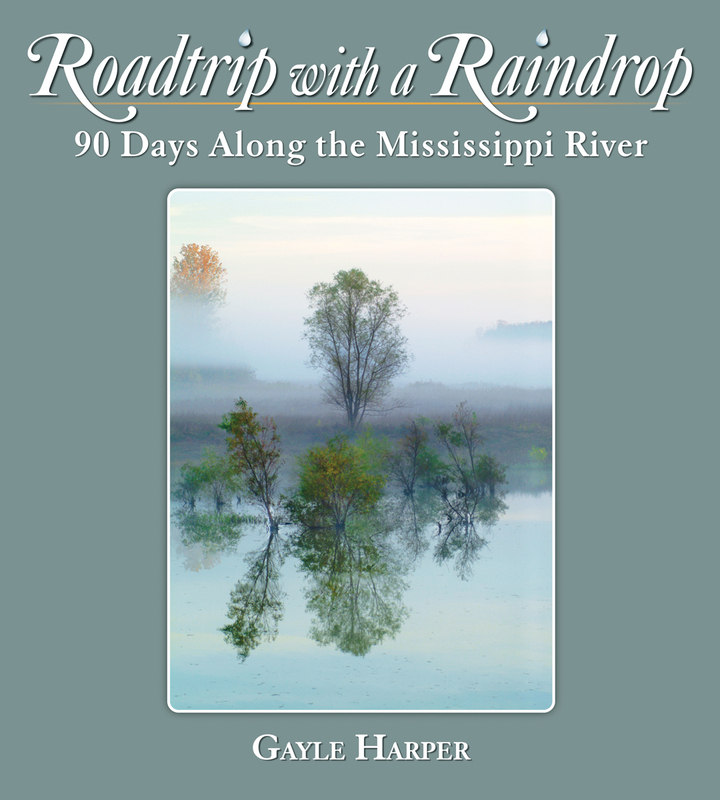 This entry was posted in Roadtrip with a Raindrop Cover and tagged Book Cover. Bookmark the permalink. 24 Responses to COVER REVEAL!!! It is a beautiful cover…misty, calm and mysterious. Good job! Thank you, Annie! I love your choice of words…just what I would hope to hear! Awesome cover, love the title and the photo is one of my favorites. Thank you SO much, Judy! We considered lots of different photos for the cover, but this one just seems to touch people in a way that nothing else does. Thanks for being here! Wonderful news !!! Lots of us have been waiting. Wonderful to know you and follow your progress down the “River road”. Great Christmas presents too !! You are a great gift to all of us. Oh, Sandy – you’re the best! Honestly, hearing from folks that are so kind and supportive of this project makes is just pure joy to work on it! Hey Gayle-Looks fantastic, way to go, can’t wait to see the baby! Light and Love-Terry—See ya downriver! I want it to be out for Christmas 🙂 and I bet you do too! My brother and sister-in-law live in New Orleans looking out at the Mississippi…watching the tug boats and barges and ships. I would love to give this book to them. Thanks Annie – if all continues to go well, we will definitely have them in time for Christmas presents! It’s exquisite!!! Know you must be thrilled. Thank you, Becky! Yes, I am! I love the cover photo! Can’t wait for the volume to be available. Do you have an idea of the cost to purchase? Very anxious. Hi Guy! Thanks so much! Books should be here before Thanksgiving and will be priced at $39.95. I’ll post here and on the FB page when and where they are available as soon as that is set up. Thanks so much for your interest and kind words. Thank you, Ms Myers! You’re awesome! Thank you Julie – you have been along for this ride since the very beginning! I truly appreciate all your loving support!